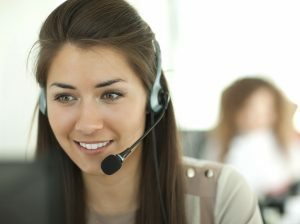 Using a call center for financial services is becoming a common technique for banks, insurance providers, and other customer-financial businesses. In the financial industry, customer service has become more important than ever. People have less loyalty towards their banks than before, and now have more options and competition to choose from. Banks use a lot of techniques to attract and retain their clients. Using a financial services contact center is one of the more effective methods. There are many benefits to using call center services. Here are some of the top advantages of using bank call center services for financial institutions. With a lot of competition among financial institutions, banks now have to create relationships with their customers to increase customer retention. Many banks have “customer appreciation” days or events, but these only reach a small subset of clients. Call center services can help foster better relationships and reach out to more of a bank’s clientele. Call centers can provide inbound services (such as customer service and technical support) and also outbound services (such as welcome calls and follow-ups) that can help create better relationships with your customers. Customer service and support is crucial for the banking industry, where clients need prompt resolutions for many issues. When a client entrusts their funds and savings with your institution, a higher degree of care and responsibility is expected. That includes quick resolutions for any issues, problems, and concerns. Contact centers can help improve efficiency and resolve conflicts using proven work processes. Outbound call services have become an important tool for attracting new clients in the financial industry. Some banking clients rarely look for other competing services, sticking with their bank out of familiarity or unawareness. Using outbound calls, contact centers can contact your competition’s clients or former clients, offering them services with your institution and advising them on the benefits of using you bank. This is an effective way of attracting new clients, opening up new accounts, signing up credit cards, and selling insurance services. Contact centers now offer a range of sales services, including cross-selling and upselling. These sales techniques are often integrated into your existing customer service, creating opportunities for increasing sales or accounts with existing customers. Not only is this one of the most effective methods for increasing sales or use of your services, but it can be done for a fraction of the cost of traditional marketing methods. With banks, branding is key. Clients are looking for trusted, reputable institutions that can handle their financial needs. Branding plays an important role in creating this image. Your branding needs to be consistent across all of your channels, locations, and services, including in the customer service that you provide. Contact centers can provide personalized service that ensures your bank’s branding is consistent across all of your channels. Looking for ways to improve customer retention with a financial institution? As the leading provider of outsourced call center solutions, 3C Contact Services teaches its partners the necessary customer service skills needed to engage and retain customers and clients. Call us today at 1-888-353-2335.